Pretty much every single trainer in this gym uses rock type Pokemon – including their leader Roxanne – so bring along some Pokemon with water, grass, ground or fighting type attacks. If you chose Treecko or Mudkip at the very beginning you’ll likely go through this gym like a hot knife through butter. If you started out by taking Torchic at the beginning of Pokemon Omega Ruby & Alpha Sapphire however, this gym can be a little more difficult. Unless you’ve evolved it to Combusken and taken on a Double Kick. It’s always nice to have a back up though right? If you catch a Slakoth in Petalburg Woods, you can trade it with the boy in a house east of Rustboro Gym to get your hands on a Makuhita. This fighting type Pokemon is resistant to rock damage and able to dish it out with some full-on fighting type slamming. 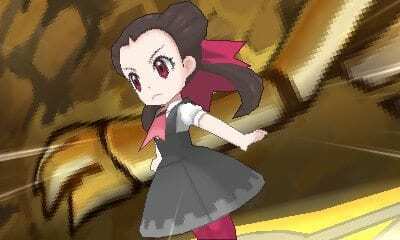 Roxanne herself poses little threat as the first Gym Leader you face in Pokemon Omega Ruby & Alpha Sapphire. Her team consists of a Geodude and Nosepass. Bring along anything with water, grass, or fighting abilities and they will fall to the wayside with ease. It should also be noted here that if you accept the Beldum Mystery Gift offered during the launch window for Pokemon Omega Ruby & Alpha Sapphire, its Ironhead skill is also super effective as it is of the steel type. After defeating her you get the Stone Badge which means any Pokemon you use in Pokemon Omega Ruby & Alpha Sapphire up to level 20 will listen to you and TM39. This TM is Rock Tomb, a rock attack which also reduces the opponent’s speed.